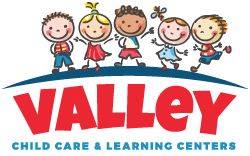 What to Look for in a Great Preschool in Phoenix, AZ! We have all seen plenty of studies that show that children aged three to four years-old, who are exposed to an quality, interactive preschool program, are more likely to be prepared and successful in kindergarten and other early elementary school years. There is so much to consider when choosing a preschool, but there are two features that are necessary to prepare your child for success. The two most important features that determine the best programs are the process and the structure of the program. The process consists of interactions with others, both children and adults, the activities that children are involved with, learning materials and opportunities. The health and safety procedures of a program are very important also. The preschool structure includes the size of the class, the student-teacher ratio and the important stats of the staff from their educational training, experience working with young children as well as the background checks that are performed before any staff member is hired. As you tour the school, speak to the office staff to see what activities are provided that will both challenge your child and give them a fun environment to explore their talents, interests. Check to see that they will have ongoing opportunities for hands-on learning, including activities that teach children right from wrong and the benefit of making smart decisions. Preview if there are adequate interactions with other children both in small groups and larger ones and ask for assurance that there is variety in the program which will keep your child engaged and stimulated. Choosing a preschool in the Phoenix, AZ area that meets these qualities will help ensure kindergarten readiness as well as the future academic success for your child. We are proud of the process and structure offered at each of our locations. Come in for a tour today and see what all we have to offer to ensure that your child is well prepared for kindergarten!